Owner of Birmingham City set to purchase Les Ambassadeurs casino for a fee believed to be £244 million. 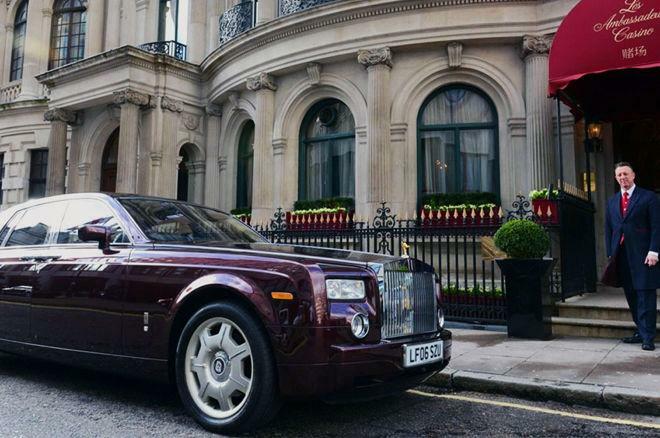 London’s high-end Mayfair casino Les Ambassadeurs looks set to change hands for the second time in 15-months with Birmingham City’s owner considering purchasing it for £244 million. The casino was bought by Landing International Development, a Hong Kong-listed company, for £137 million in December 2015 but officially put the property up for sale last week so it can concentrate on its investments in South Korea, particularly the development of Jeju Shinhwa World, a leisure and entertainment resort in Jeju, Korea. Birmingham City, a football team in the English Championship, are owned by Paul Suen Cho Hung, one of the United Kingdom’s richest Chinese investors with an estimated fortune of £440 million. Mr Suen is known for dealing with struggling companies and is known in Asia as the “King of Penny Stocks.” The 55-year-old holds a Master of Business degree from the University of South Australia and sees Birmingham City as the perfect company to build up and then sell on for a massive profit should the club return to the Premier League. In order for this to happen, the club will need to invest some serious money in player transfers, but Suen only made approximately £10.6 million available, sacked manager Gary Rowett as manager despite the club being seventh in the Championship, then sacked his replacement Gianfranco Zola, and this weekend relieved Harry Redknapp of his managerial duties with the club languishing in the relegation zone. Spending £244 million on his own business interests is likely to anger loyal Birmingham fans. The football club was previously owned by Hong Kong businessman Carson Yeung, but he was jailed for six years in March 2014after being convicted of five counts of money laundering.